If your iPhone keeps restarting, it can be categorized as either an iPhone that restarts intermittently or is stuck in a restart or reboot loop. In the latter category, time and again, there is an appearance and disappearance of the Apple logo on the screen and therefore, the phone is totally unusable. Consequently, here we take a look at some of the common problems that may make your iPhone keep rebooting. 1. Software updates failure which may be caused by an unstable network connection. 3. Malfunctioning battery connector leading to your iPhone not receiving enough power and thus keep rebooting. Here are a few solutions which can help fix the issue. 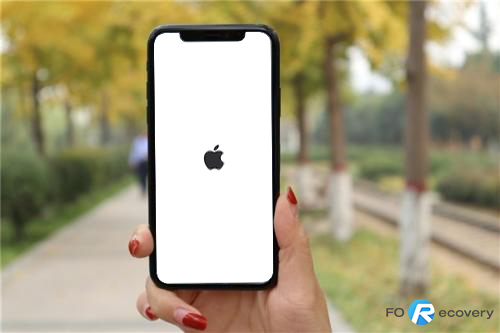 Force restart iPhone is one of the common and easiest solutions that you use to stop an iPhone from restarting. By forcing your iPhone to restart, you manage to break the power cycle that is ongoing. If you have iPhone 8 or other later models like iPhone X/XS (Max)/XR, you are required to press the Volume Up key and at that point quickly release. The same should be done to the Volume Down key. You are then required to press the iPhone’s Side key until your phone eventually manages to restart again. The Side key should not be released during the process of the phone shutting down before again it can restart. If you are using either iPhone 7 or 7 plus, you should simultaneously press the Sleep/Wake and Volume down button and your device will be forced to restart. In the case that you have iPhone 6, 6S, or earlier iPhone devices, you can force it to restart by simultaneously pressing the Wake/Sleep and Home button for a few seconds. The device will vibrate and cause the reboot loop to be broken. 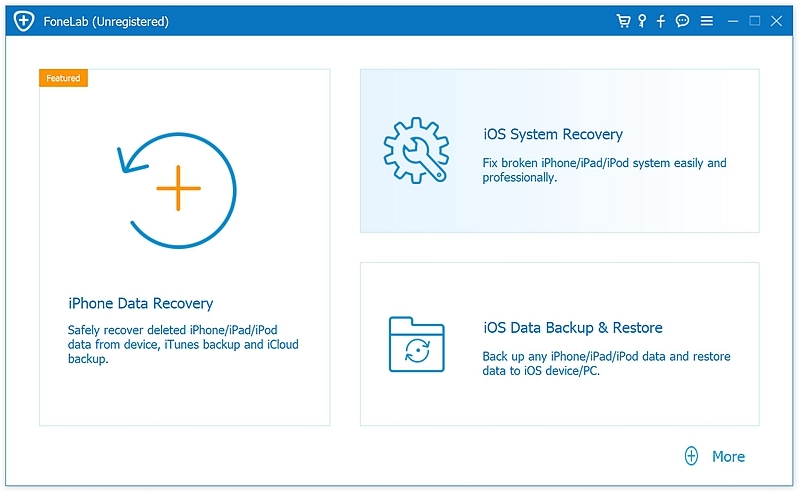 ‘iOS System Recovery‘ toolkit It is considered to be the best iOS repair software for both an iPhone and an iPad. Here are some of the features that make this particular toolkit reliable to its users. • No data loss experienced since it only fixes your phone to work normally. • Can be used to fix issues on all iPhone, iPad models with all iOS version. • Other iOS system issues like looping on start, black screen, etc. are able to be fixed. • Able to fix other device error and iTunes errors likes black screen of death, stuck on reocvery mode. • Fully compatible with different operating systems including iOS 12, Windows 10, and Mac 10.12. Step 1. Download and install the software on your computer. 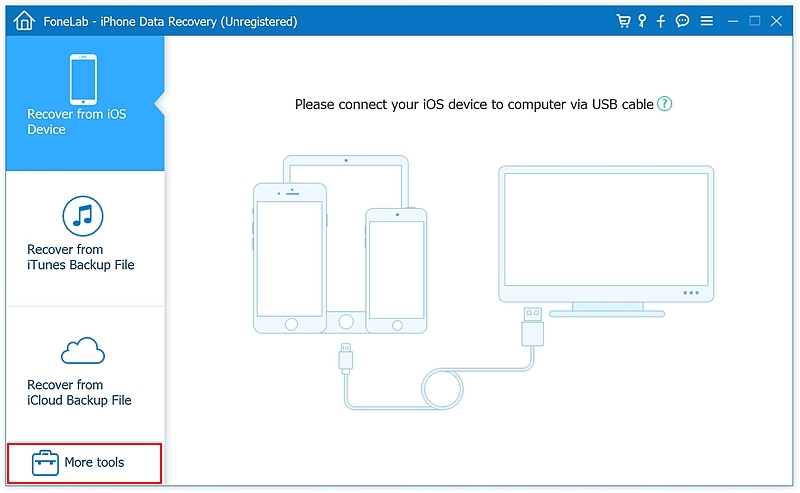 Launch the software and click ‘More Tools’ proceed to click the ‘iOS System Recovery’. Step 2. Connect your device to the computer. Once your iPhone has been detected, click the option Start. Step 3. 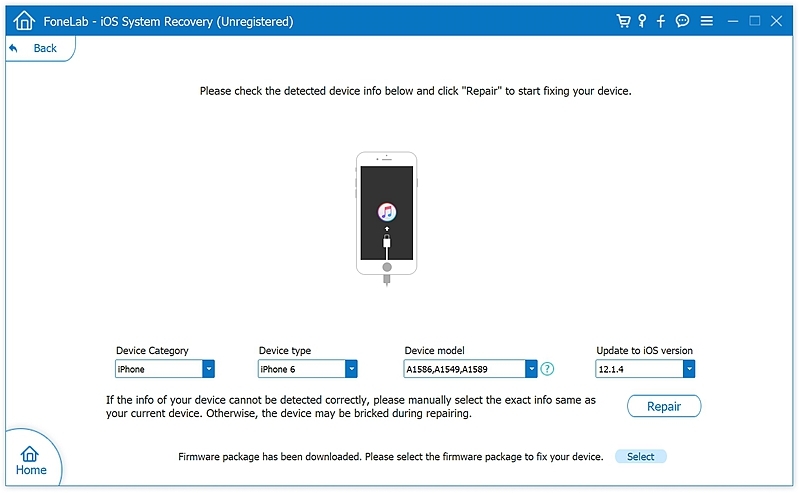 You are required to download the up-to-date OS firmware for fixing your iPhone. The software will automatically match your device model, click the ‘Repair’ button and the data will be straightaway downloaded for you. Step 4. The process of downloading the firmware takes about 10 minutes. Once the process of downloading data has been completed, the software will begin repairing your iPhone. The entire process of update your device with the latest iOS version lasts around 10 minutes. If your iPhone is jailbroken, it will be restored to the earlier version before the jailbreak and the iPhone is re-locked. Simply then disconnect your iPhone safely and use it normally. If the issue is not resolved then you can repeat the above process again. Using iTunes can also help you to fix your iPhone keeping boot loop by restoring the iOS system. Before using iTunes, ensure that you have a backup of your data since this solution leads to data loss. 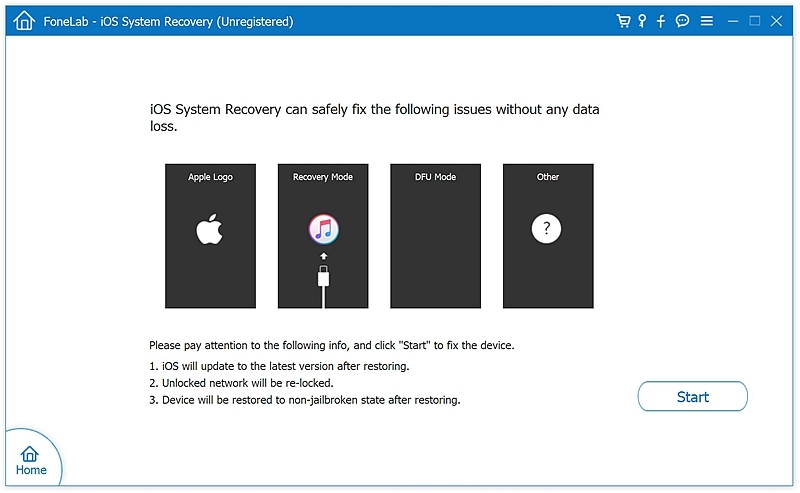 Consequently, here is how to fix iPhone stuck in boot loop using iTunes. Step 2. Connect iPhone to computer and wait for the iTunes recognize your iPhone. 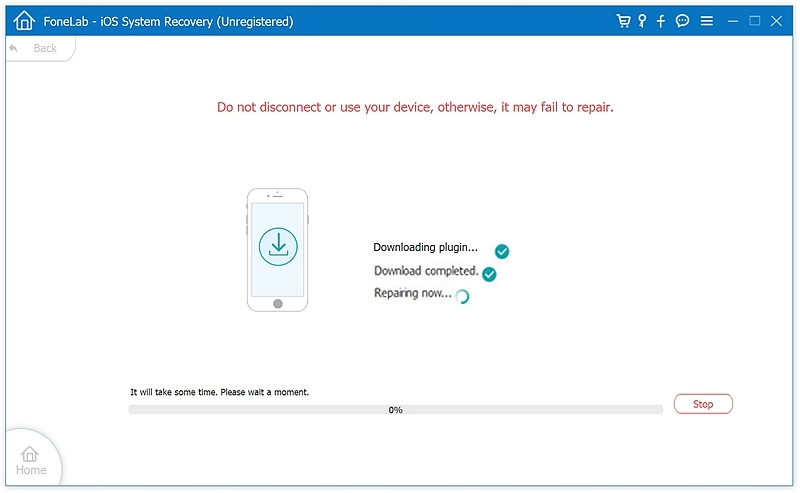 In case the iTunes fail to recognize your iPhone, you may need to force your iPhone into Recovery Mode. – Hold the power button until you see the power off screen and turn off your iPhone. – For iPhone 7 and earlier, hold down the Volume down button of your iPhone (for iPhone 6s and earlier, hold down the Home button) and then connect it to your computer using the USB cable. The Apple logo will appear and then change to a ‘connect to iTunes’ screen. For iPhone 8 and iPhone X/XS/XR, press and release the Volume Up button and then the Volume Down button. Then, press and hold the power button until you see the connect to iTunes screen. – Now release the button. Step 3. iTunes displays a dialog box which confirms that you are in iPhone recovery mode. Proceed to click the Restore option displayed on the dialog box. Step 4. Restore your device to an iTunes backup file that was saved previously. In conclusion, if you have managed to follow all of the suggestions stated above, you are almost certainly guaranteed that you will have solved the boot loop problem. In the unfortunate situation where you have not managed to personally solve the problem, then your device may need to be examined and repaired professionally.